Covert body armor is designed to be worn underneath clothing. These carriers are lighter in color so they don't reveal any presence under the wearer's shirt. 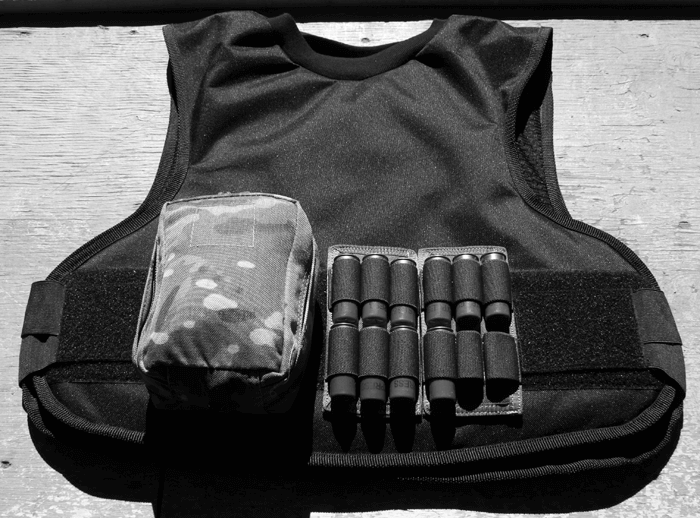 To be especially stealthy, these vests are usually thinner and more flexible than other types. Overt body armor is worn on top of clothing. These carriers are made from thicker material and are usually darker and more obvious to passers by. Heavier body armor can only be worn in carriers designed for overt body armor. In some situations, wearers will want to make it obvious that they're wearing body armor to project force and deter attacks in the first place. If you're a private investigator though, you will need the benefit of body armor without wanting to let the world know you're wearing it. The sensitive and dangerous nature of the PI's work requires stealth and protection. Private investigators need to interview all sorts of different people. It's possible that a PI will face a hostile subject he needs to question, or that during the course of an investigation a subject may become suddenly hostile. It's also possible that even the most experienced PI will face deception and be lured into an unsafe situation where unexpected protection is needed from a seemingly safe subject. Private investigators are hired in the first place to find difficult information, which will often require evidence gathering in restricted or risky environments. If a private investigator is found in an unwelcome area by a potentially violent individual, he needs to be prepared to face a physical threat. This can involve gathering evidence in areas controlled by violent criminal organizations, where the PI will face threats directly related to his case. But even cases that aren't risky in and of themselves will often bring PI's to dangerous areas where robbery and violent crime is common. The physical danger that PI's face makes it obvious that some kind of body armor is absolutely essential. However, the covert nature of investigations is a second but equally important need to satisfy. Even though a private investigator needs to be prepared to face physical threats, good stealth will avoid violent situations in the first place. Any decent private investigator knows that gathering evidence is far easier when subjects or passersby aren't privy to the fact that a PI is nearby. Covert body armor is very concealable and only the wearer will know that it's there. A PI wearing covert body armor is free to go about his investigation without tipping off anyone to his motives or occupation. On top of this, overt body armor shows other individuals that the wearer is prepared for a violent encounter, which makes subject feel more threatened. When faced with a force projection, a nervous or criminal individual may decide that a pre-emptive strike is in their best interest-- overt body armor can incite violence that wouldn't happen if the wearer was wearing covert body armor. Imagine this hypothetical situation-- you're conducting a sensitive investigation in a dangerous, urban neighborhood. You're out to gather evidence, and you need to talk to people both on the street and in apartments. As a PI, you know that if your true occupation is revealed, subjects will clam up and not talk to you. But you also know that in this neighborhood, a violent crime that's not even associated with this case is highly possible. Furthermore, it's a tough neighborhood where reputation matters-- someone might want to take on someone wearing overt body armor because it evokes association with law enforcement, or because they simply want to prove themselves. At the same time, since you'll be entering unfamiliar apartments and walking through city streets, you simply can't risk going unprotected. If you're made or your questioning causes an emotional response, violence could be imminent. This is the exact situation in which a PI needs a good set of covert body armor. This will allow him to move around freely and protected during the course of the investigation without sticking out like a sore thumb and becoming a target. The difference between a good PI and a great PI is preparation; planning and attention to detail is vital in any investigation, and this is no different when considering your own protection. You no longer need to decide between protection and appearance, and your safety is of utmost importance. Choosing covert body armor can give you protection against the many threats you may face, while still allowing you to remain inconspicuous and hide your true purpose. Don’t sacrifice your safety or ability to do your job to the best of your ability; choose covert armor. Tom has produced a number of articles on behalf of Safeguard Clothing, a specialist in body armor. He uses his experience and knowledge of body armor manufacture to provide the best information on choosing the right protection courtesy of Safeguard Clothing.